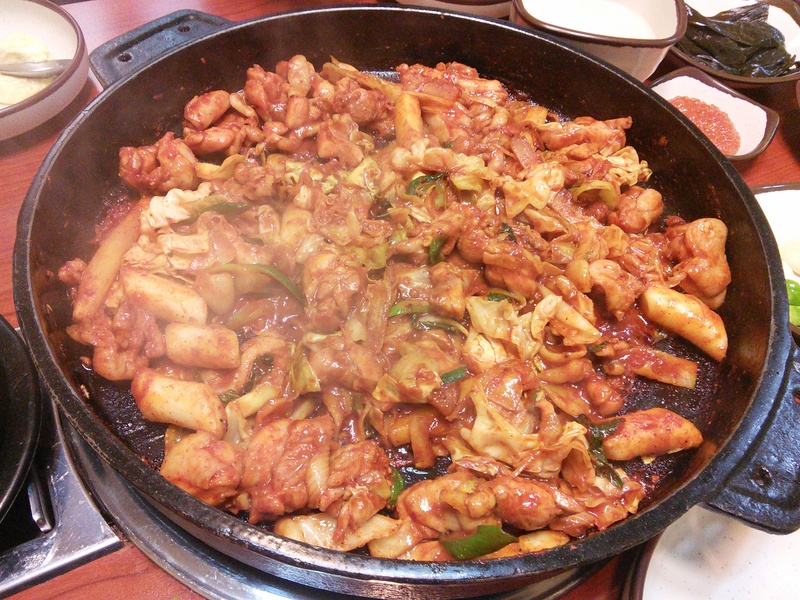 Dukgalbi. Spicy chick with veggies and thick rice noodles. Published inDukgalbi. Spicy chick with veggies and thick rice noodles.